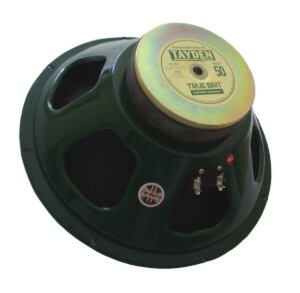 ALL Tayden speakers are hand made in the UK and now their legendary range of guitar drivers are available to enthusiasts and professionals through Lean, so if you have a passion for that certain guitar tone then take a look at the Tayden range we are confident you will be impressed. 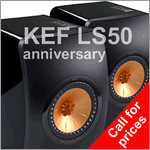 Tayden have translated Guitarist's expectations and produced a range of speakers that offer specfic tones for specfic needs. 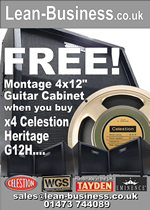 Whether your tonal desire is 1950's Vox AC Alnico or the clean sound of the 1960's Sound City/Hiwatt/Orange amp or the creamy warmth of an old Marshall or Selmer, Tayden has a guitar driver for you! 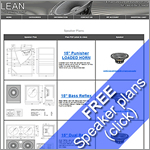 Tayden uniquely blends modern and traditonal manufacturing techniques to engineer professional speakers that are reliable without any compromise in tone. 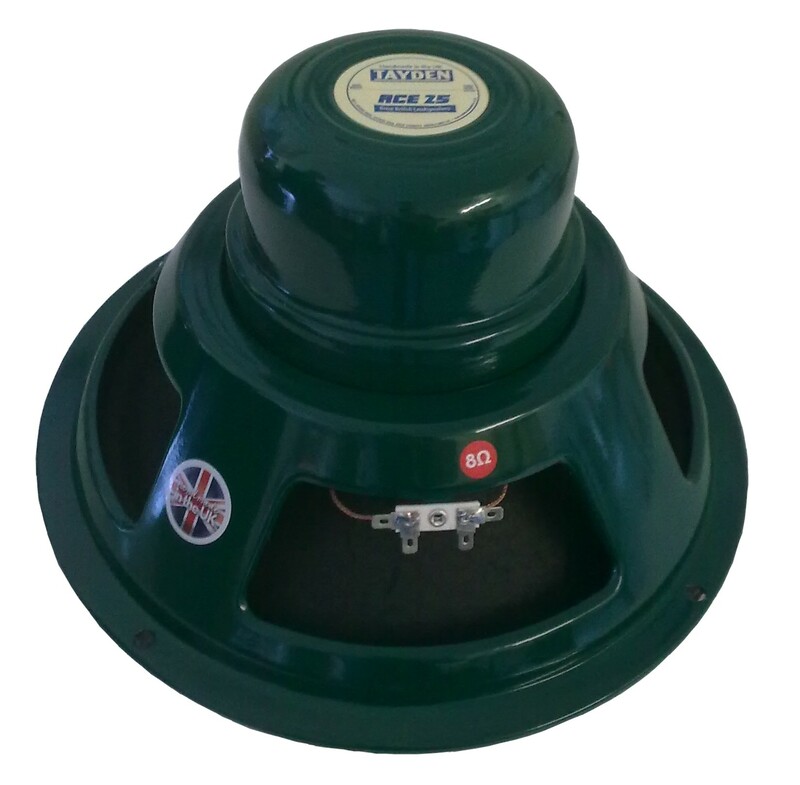 These beautifully hand crafted British guitar speakers are finished in racing green and assembled using the highest quality components. 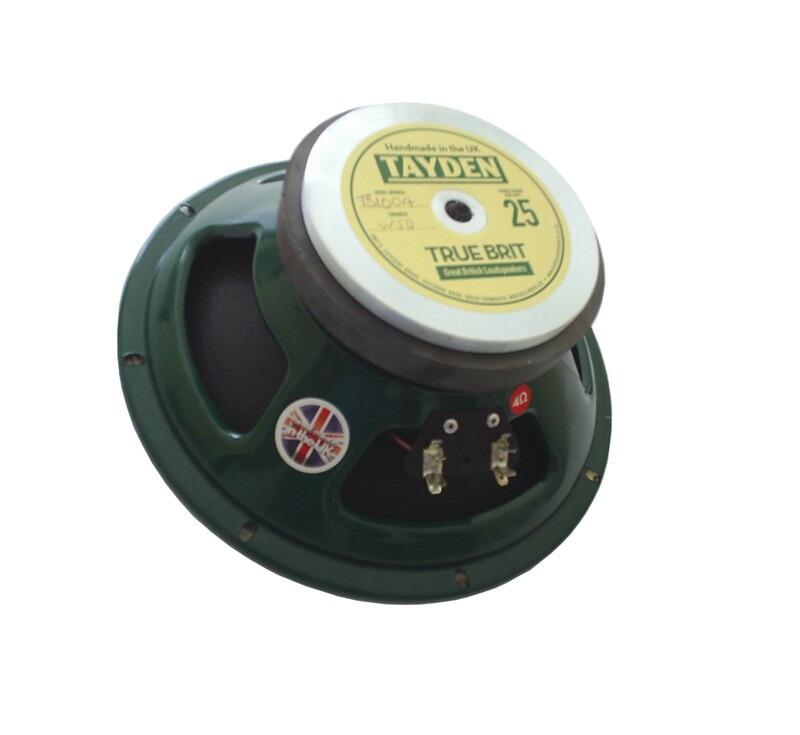 -Voice Coils are wound in Tayden's manufacturing facility to ensure control and quality are maintained. -The metal magnet parts are CNC precision turned and machined to achieve the highest accuracy. -Magnet assemblies are screwed to the chassis to guarantee strength. -Cones are doped by hand to maintain an authentic look and sound.